I had the privilege of shooting Christine’s s30 over the weekend which I personally refer to as “one of the most highly anticipated builds of 2012.” That might be a bold statement; but if you look at her 30 page build thread– you will agree with me! I think I met Christine back in 2009 when I started JDMC. At the time she had a really nice Mazda RX8, but something about it just didn’t seem to fit her. Christine had a flair for style back then, so when I heard she sold the car to pick up a new project I knew we were going to be in for something nice. The new project ended up being this lovely Datsun 280z. As a huge fan of the Z platfrom, a nostalgic car was an easy decision. 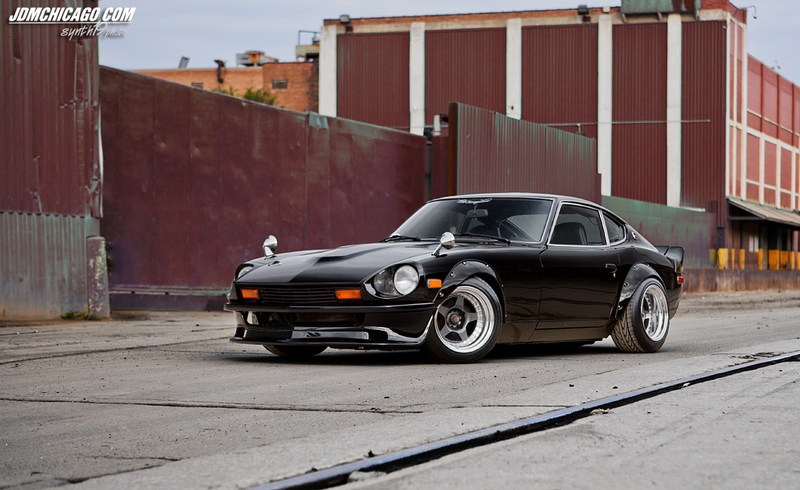 When I asked why a 280z vs the ever-popular 240 or 260, her decision was mostly based on color and some unique styling cues the other two S30’s do not possess. 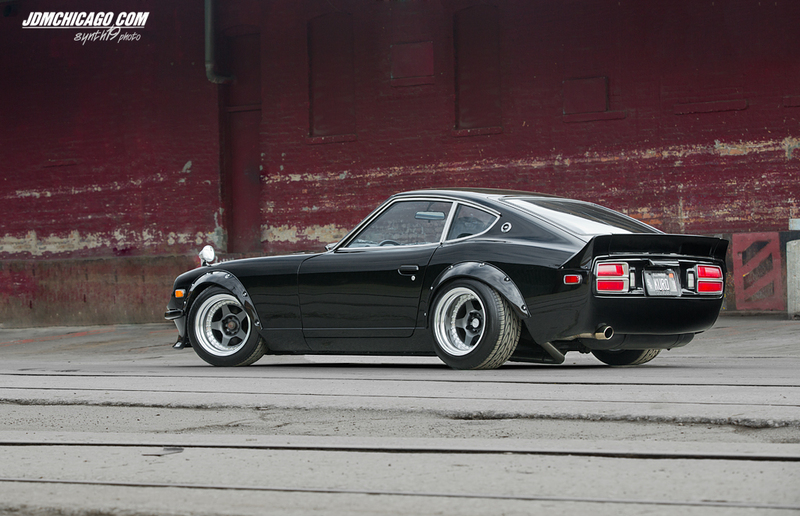 Not many people may know, but an early Z in black is difficult to obtain. 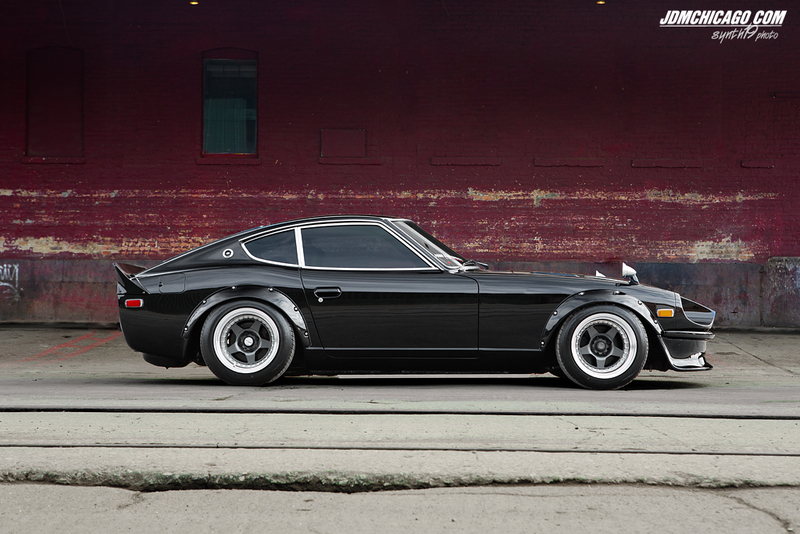 Nissan took a risk to test this color choice for the North American market with the 280z. Although the car has been repainted, having this original platform made plenty of sense in the restoration process. Christine picked up her Z on February 14th, 2011. Although the car needed tons of work, it had plenty of nice things going for it and some minor surface rust as a Florida car. The interior was in rough shape, but Christine took her time restoring the interior in a period correct manner. 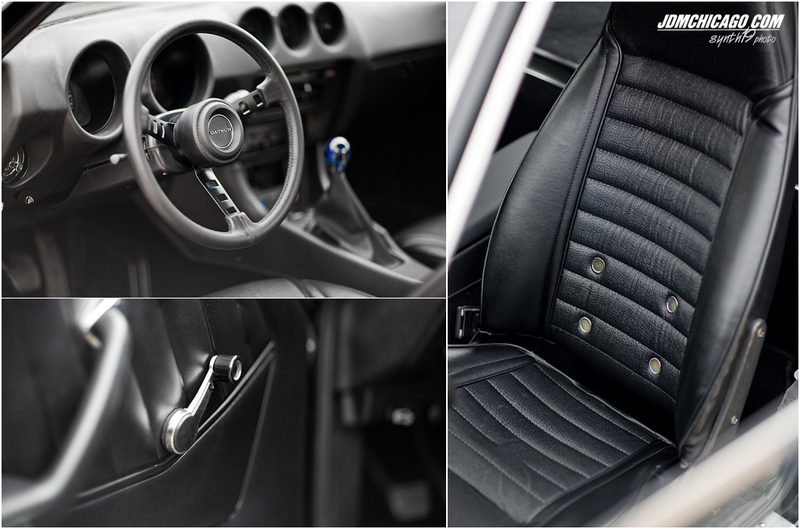 Really love the reupholstered 240z seats as well as the Datsun 240Z Rally Style Steering Wheel. The dash was cracked and in terrible shape, but some handywork by Christine resulted in this factory fresh finish. There are a decent amount of old school Z’s around the Midwest, but I’m honestly not sure how they will react when they see the stance of this Z. I don’t know how Christine does it, as it was constantly scraping her frame rails and exhaust during the shoot! It just might be a tad aggressive for the traditionalists, but who cares anyways? I’m glad Christine built her car to her preferences, while maintaining its original character. Custom wide flares fit the aggressive Work CR01’s. 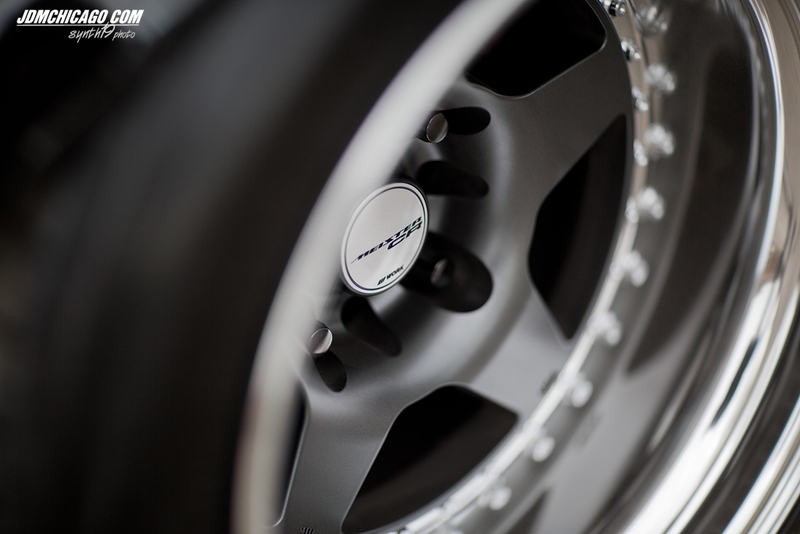 15×9 -53 in the front, and 15×10 -53 rear (NO, this is not a typo). A slew of parts from Techno Toy Tuning along with Stance s13 gr+ coilovers give you this phenomenal look. Here is a huge wallpaper version 1920 x 1080. 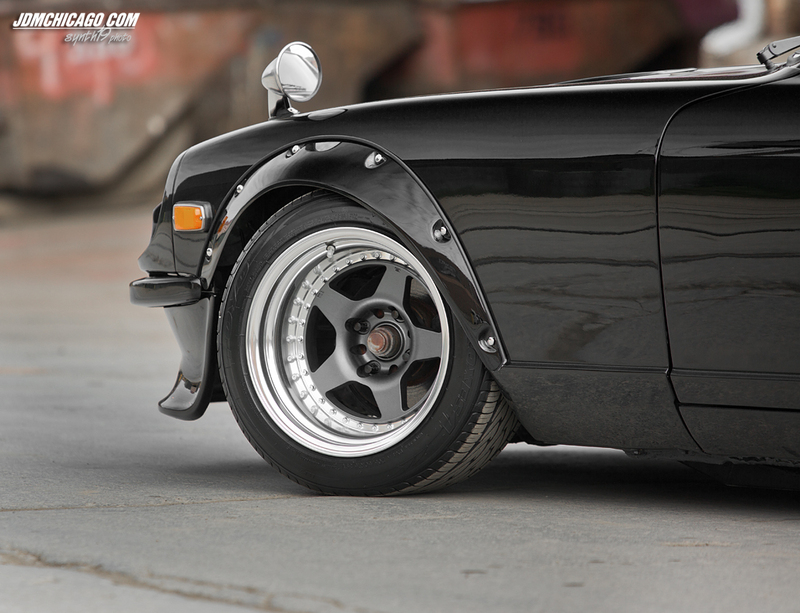 MSA 240z bumper fits the front nicely along with the OEM Nissan fender mirrors. If you see the car in person, the mirror placement is intentionally misaligned for visibility Not many people realize this is the correct way to install the mirrors. Diggin the JDMC and 4SS vinyl placement. Toyo Poxes 205/50 in front and 225/50 in the rear. Unfortunately due to the spindle nut cap that protrudes, centercaps are not an option for the front….. But no problem in the rear…. One thing I forgot to shoot was her motor, but as you can see in this photo…. it definitely runs! The stock L28 will be swapped out soon, but we won’t spoil the surprise for you guys. Closing out this set with a roller. Thanks for checking out this feature and look out for BIG things with this car in the near future. Hey im in love with this Z! Im in the process of buying my second car in which is going to be a 1978 280z. 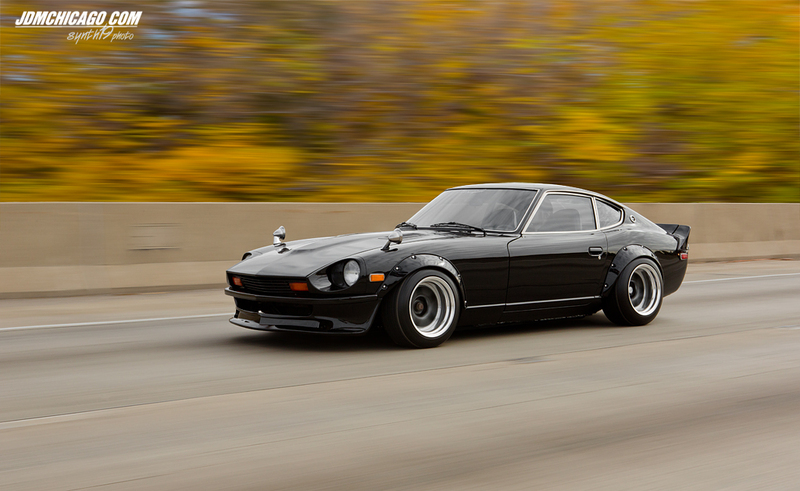 This is my influence and my Z would look somewhat like this one. Keep in mind im not 19yrs old and i am not experienced with Z’s as much as i intend to. Beautiful car and Great Job. Thank You for this Picture/Article. Just wondering what color black you used??? Is it the original factory color??? Beautiful car and photos I must say. I have a 78 280z I’m currently working on, but I’ve been looking for that spoiler everywhere with no luck, any idea where she got it or at least the name/part number? Thank you in advance, once again awesome car and photos. Kuro, thank you so much for the info!! I bought it already, lol, thanks!! Saw the Z in IT, the pics here are better…). Wondering if you still plan on doing the SR20 swap later of keeping it stock. Would love to see your progress with that since I am in a middle of doing the swap for my 280. Ace, I won’t be doing an sr20 swap. Doing a l28et swap. I like the inline 6, but interested in your build! Post it up! Will do. Just waiting on a head gasket for the SR20 and then is should be all good to go. What camera was used to take these pictures? Wow! great car, great job. People don’t understand the love and appreciation it takes to accomplish something like this, I am planning to get a 78 Z because that’s the year I was born. I think that if I were to do invest time and money in something it should have some meaning. Thanks for the inspiration. I have a 71 240z in the body shop right now, and we ordering the same spoiler! It looks as if it was riveted on? Does it come with stock holes for the rivets or how did you go about doing it. I dont want it glassed to the body. Too tacky! A quick pm would be much appreciated its at the shop now! Btw love the Z! Inspiration for all of us building these amazing machines. Hi Donald. The 3 piece is bolted on. If you don’t want it glassed, you’ll need to drill holes in the hatch and rear quarters. I don’t know your name on jdmc so I’m not sure where to pm. PM me – Kuro. 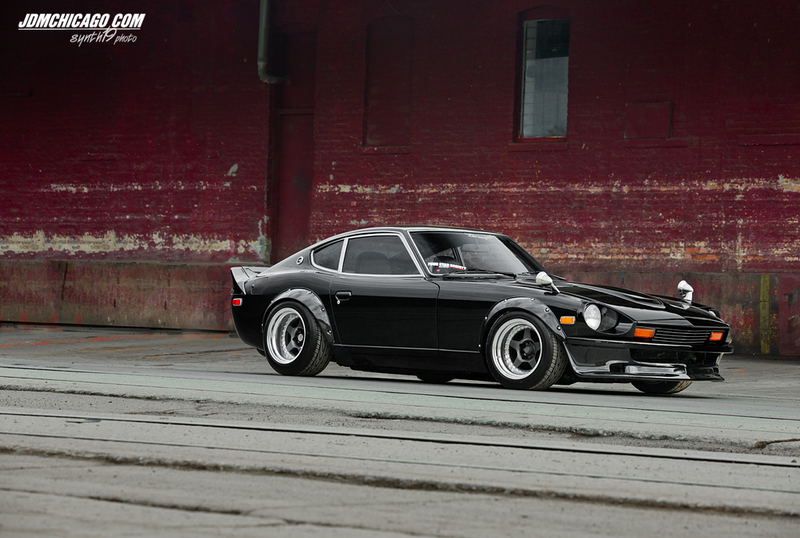 Beautiful car, now i have a base idea of what i want to do to my 78 280z! 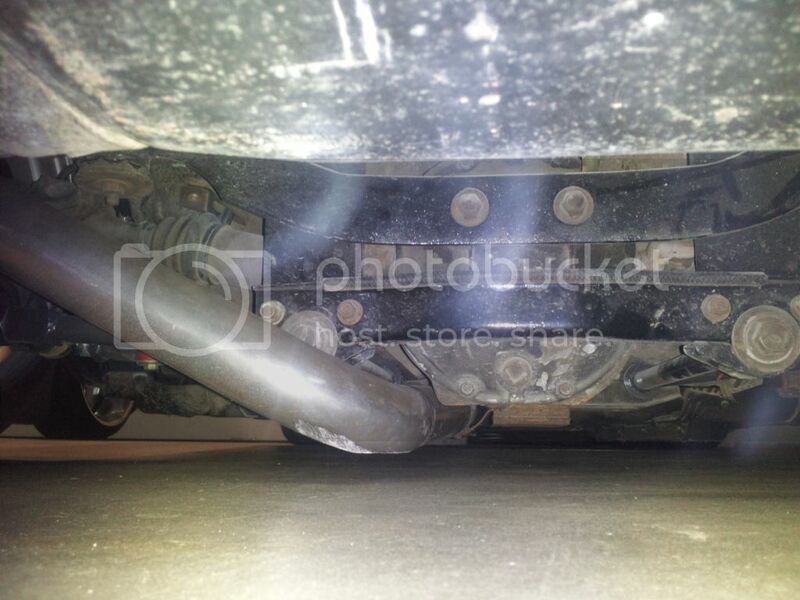 I recently just purchased a 75 280z with 43k miles on it and was wondering the exhaust you have on yours? Also did the coilovers require alot of welding and customizing? I LOVE THIS CAR. @Greg, Nope I love the wheel size, I think 15″ fits these z’s well. @Andrew, I have an MSA exhaust and headers, but the exhaust has been recently modified in several places for clearance. Hey Christine …i see that it states your fender flares are custom made…with all the companies that make zg flares and theres a company that makes super zg wider flares …why did you opt for custom made flares ….and how much wider are they from the zg flares and super zg flares ? 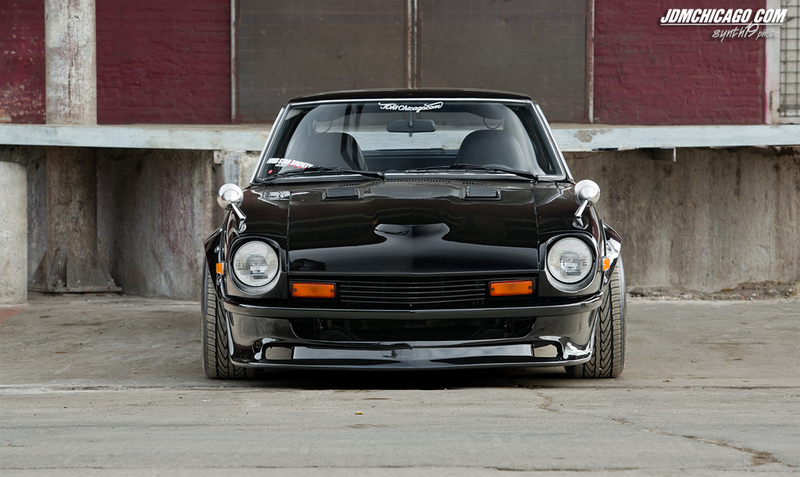 I have a 77 datsun 280z 2+2 this is one beautiful car Christine these cars are great and different I love your 280. @Rob – they’re not custom, they’re from Z Force Production. The dimensions are specified on his website. I’m sure “JT” is one of zforceprod’s lovers. Long story short. The flares are custom because zforceprod screwed me over and I had to have them done by my body guy. He claimed they were his flares because of a receipt and posted my finished car on his fb site after the car was in Import Tuner. Before that happened though, he bashed me publicly on his fb page and blocked me so I couldn’t respond. @cody I bought mine used, but zccdm.com sells fiberglass repros. Mike, from the Evanston get together last weekend. I brought out my 50th AE and you mentioned some sites for the really big shows? How much wider are your flares over ZG flares. 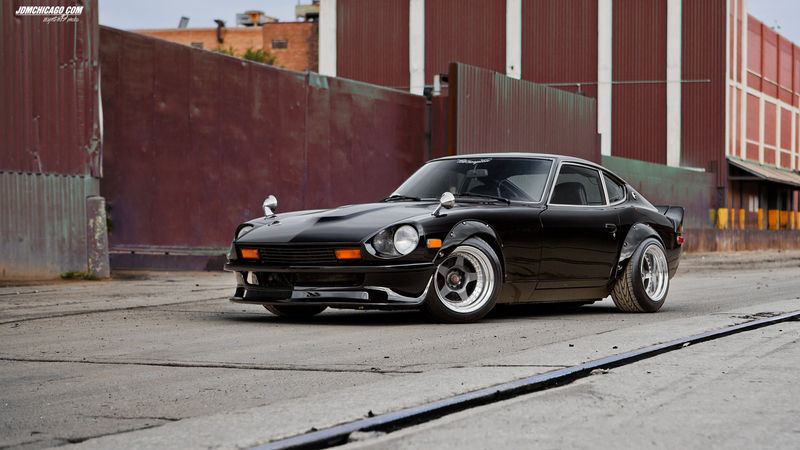 This is a beautiful and clean 1978 280Z car I ever seen. I’m wondering how it took you to complete this project.